As survey report indicates, the literacy rate in the state of Madhya Pradesh has been increasing in the recent times. What was 60.7% in 2001 has come up to 70.6% in 2011. To develop the educational system in the state, the government has implemented the Shala Siddhi Protsahan Yojana. The scheme will assist in the evolution of the development of all government schools.Two more schemes as the name of ‘Ruk Jana Nahi Yojana’ and ‘Mukhyamantri Medhavi Vidyarthi Yojana have also been started in MP for students. Improving the education system – It is the main objective of the scheme is to develop the education system by providing the schools and the teachers with the encouragement and motivation they need by providing awards. Total number of enrolled schools – As of now, the scheme has already enrolled 25000 government operated schools, which are operating within the borders of the state. All these schools will get a chance to prove their excellence. 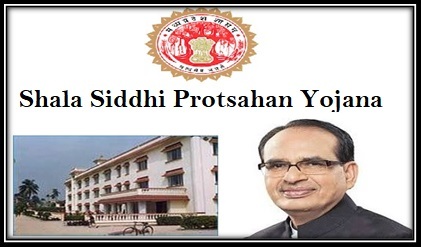 Only for Madhya Pradesh – The scheme has been especially designed for the state of Madhya Pradesh. As per the guidelines only the government schools will be able to be a part of the program. Forwarding the application – All the schools that have been selected will have to fill and send the application to the Sankul Principals by the end of 28th Then the selection committee will pick 3 primary and middle schools respectively and send their application to DIET. Award ceremony on Independence Day – All the selected schools will be honored with the awards during the celebration of the Independence Day, at the District Head Quarters in the state. Further selection for the main event – It will be the task of the District Core Committees to make further selection of middle and primary schools and these institutes will be honored on during the celebration of the Teacher’s Day. It will also bring the efforts of the government school teachers in light. With the successful implementation of the scheme, the state operated government schools and the teachers teaching institutions will get the encouragement that they need and will be motivated to work better. It will assist in making the overall education system of the state better.